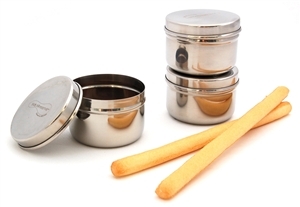 Three reusable, food-safe 2.5oz stainless steel containers. Plastic free. 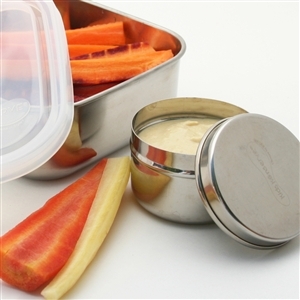 Three mini 2.5oz stainless steel containers by Kids Konserve. Plastic free, great for a waste free lunch. 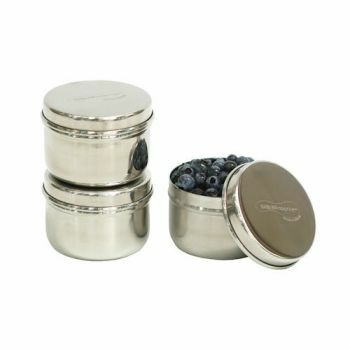 Perfect for packing berries, nuts, and lots more! Please note we do not recommend this product for liquids such as salad dressings. 5.7cm diameter x 4.5cm tall.